As per reports, a meeting of the bank's directors will take place on May 02, 2011 to consider the audited financial results of IOB for the twelve month period ended March 31, 2011 and to announce dividend, if any, for the year ended March 31, 2011. In addition, the bank lifted up Rs 2,220 crore on April 18 through medium-term notes (MTN) in order to fund global processes. 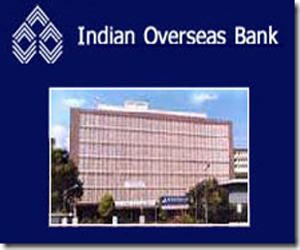 Mr. M Narendra, CMD, Indian Overseas Bank denied providing full details on the sum and pricing. "All that will depend on investor appetite," he added. Previously, another state-owned lender, IDBI Bank, declared plans to lift up notes via Swiss francs.